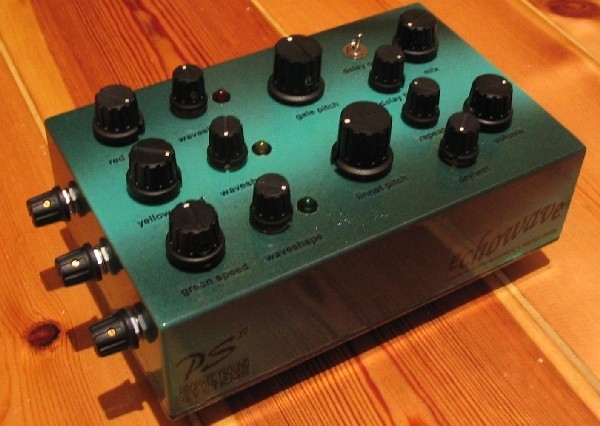 For different modification combinations or any extra information email Kristjan. 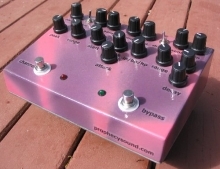 Additionally, the waveshape mod is added to each echowave (allowing blending between triangle and square waveshapes for each LFO), and a digital delay (maximum delay time of 400ms) with on/off switch, repeats, delay time and dry / wet blend is included. 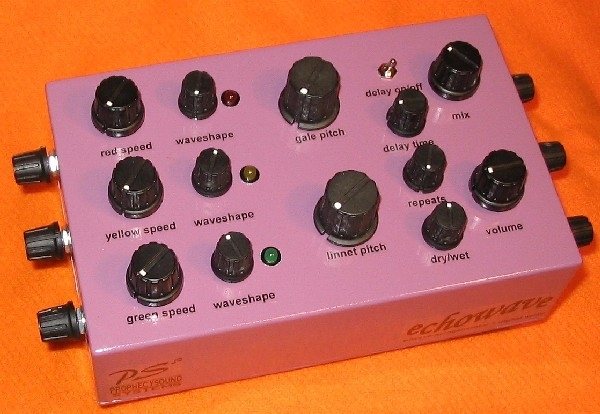 A hand-painted / labelled box encloses the echowave circuitry, with the usual prophecysound high quality construction and wiring. 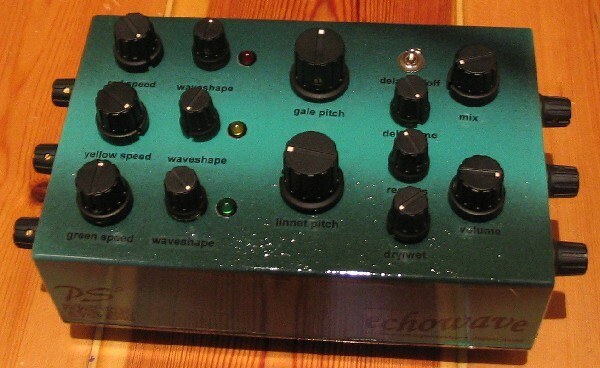 The echowave is suitable for drones, ambient noises, experimental tones and sampling as a sound source. 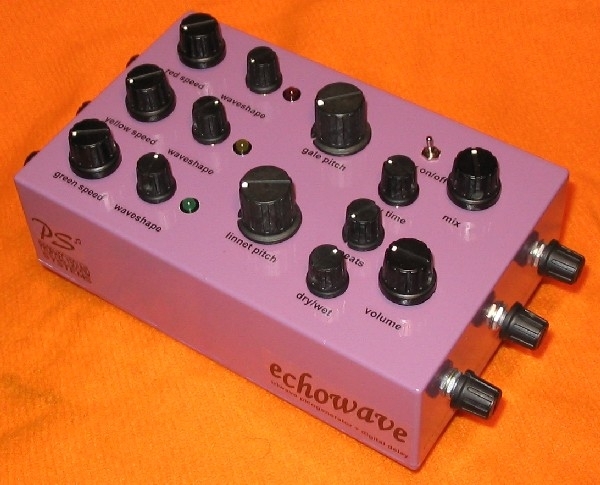 Note - pictured are a couple of previous model Echowaves, each one has different cosmetics.